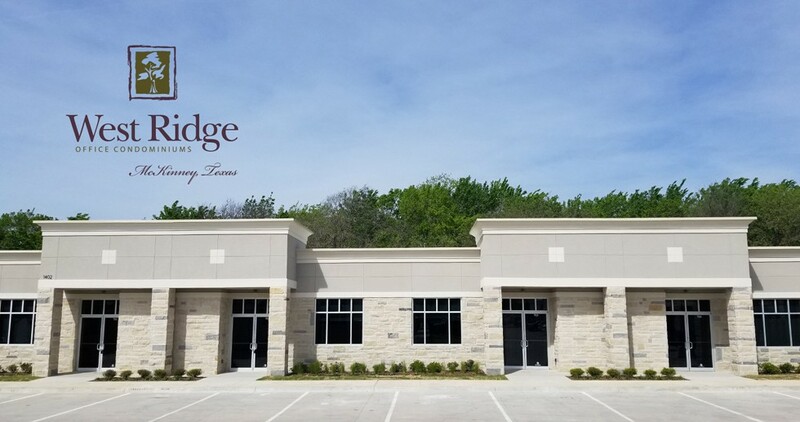 Introducing West Ridge Office Condominiums in McKinney, TX – another fine commercial office community being built by SHB Development. You now have the opportunity to invest in and grow your business against the backdrop of two of the nation’s fastest growing areas: McKinney and Frisco. These flexible and efficiently designed offices are perfect for small business professionals who want to establish equity in and grow their business with ownership. The office community consists of multiple single-story, multi-unit buildings. Each unit starts with approximately 1,225 square feet of highly efficient space easily divisible into a variety of functions. The community is strategically positioned off of Custer and Stonebridge to provide an element of privacy while still easily accessible from a variety of destinations. McKinney office space at its finest.